Any Volvo S60 has plenty of appeal, but we think an efficient front-wheel-drive T5 in base form is an excellent value. Already appealing for its good looks and outstanding safety ratings, the 2016 Volvo S60 grows in interesting ways with the long-wheelbase Inscription and Cross Country soft off-roader. Even several years after it first appeared in showrooms, the sleek lines of the 2016 Volvo S60 continue to challenge the long-held perception that Volvos simply aren't stylish. The S60's elegant shape -- a wedge that tapers at both ends -- might make it the most distinctive Volvo on the road. This is especially true of long-wheelbase Inscription and Cross Country variants that join the lineup this year. After a mid-year update in 2015 that included a new front grille, bumper, and hood, along with new headlights and LED running lights, the S60 continues into 2016 with only minor changes. Styling for the S60's interior is more evolutionary than revolutionary -- smart and chic in the tradition of Scandinavian simplicity. And though it may seem almost minimalist when compared to more lavish interiors from luxury brands, high-quality materials, pleasing textures and that 'floating' center stack give the car a decidedly hip vibe over some of its more traditional competitors. While the Inscription simply looks like a longer S60, the Cross Country packs a more rugged visual punch. All wear an appealing shade of dark gray paint complemented by blacked-out greenhouse trim, mirror caps, and fender extensions. A honeycomb grille, 19-inch diamond-cut wheels, side scuff plates, and skid plates add further visual distinction. Ground clearance of 7.9 inches gives it an SUV-like stance. The S60 offers a variety of engines. 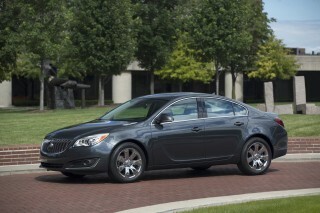 Two versions of a recently introduced 2.0-liter four-cylinder power front-wheel drive models. 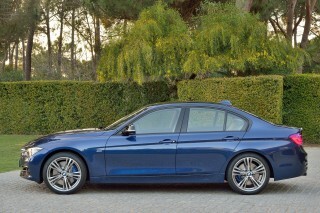 In turbocharged form it makes 240 horsepower; when turbocharged and supercharged it puts out 302 hp. Both mate to an 8-speed automatic transmission and provide an excellent balance of performance and efficiency. Most all-wheel drive S60s continue to use a 6-speed automatic transmission and an older, less efficient turbocharged 2.5-liter inline-5, the exception is a turbocharged 3.0-liter six good for 325 hp in the range-topping R-Design. Five adults will fit inside the S60, but four can travel in comfort, and the rear seat turns out to be bigger than it appears. The long-wheelbase Inscription adds just 3 inches of rear legroom but the class-leading space feels almost decadent. Newer front seat design is some of the best we've tested, with thoughtful bolstering and support in all the right places. They're not the capacious thrones that older Volvo seats provided, and we worry that larger and broader Americans may find the bolsters confining. Add to that a quiet cabin and good ride quality, and you come close to a luxury feel—except for the sportiest R-Design model, which transmits more road harshness through its larger wheels and lower, stiffer sport suspension. The sharp handling and advanced features of the Volvo S60 compete most directly with the sportier end of the premium and luxury range, although its shape aside, it's less luxurious than quietly competent. 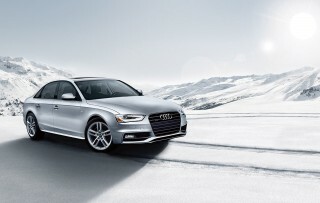 Think Acura or Infiniti, perhaps Audi, more than BMW or Mercedes-Benz. 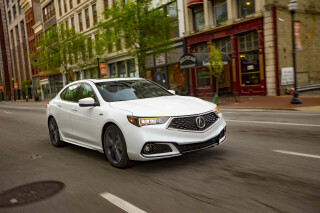 And in size, it's slightly larger than the compact Acura TLX or BMW 3-Series, but smaller inside than mid-size models like the Audi A6 or Infiniti Q70 (nee Infiniti M). 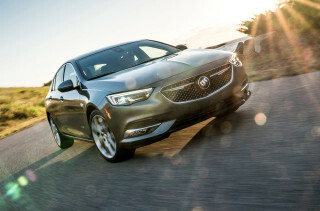 Its performance sets the S60's sights somewhere among the likes of the Buick Regal GS, the Audi A4, and the BMW 3-Series. Even several years into its model run, the Volvo S60 gets superb safety ratings. It aces all tests, including the latest and toughest, from both the IIHS and the NHTSA. On top of that, it adds a comprehensive suite of standard and optional electronic safety systems. That list includes Corner Traction Control, which allocates torque across the car to enhance grip in aggressive maneuvers; a radar-based Pedestrian Detection with Full Auto Brake that identifies and brakes for pedestrians or cyclist in the road if the driver doesn't; and a Blind Spot Information System that includes cross-traffic alerts. Volvo refined the S60's trim levels for 2016. The long-wheelbase Inscription effectively replaces the former Platinum above the base T5 and T5 Premier. And then there are Cross Country and R-Design models for niche buyers. Prices start in the mid-$30,000s, but a well-optioned Inscription or Cross Country can approach $50,000. The 2016 Volvo S60 continues to impress with its stylish good looks, and gains new life with a long-wheelbase Inscription and crossover-like Cross Country. The 2016 Volvo S60's design accomplishes a neat trick—it looks like a Volvo, but it also looks like one of the most stylish Volvos ever produced. The smooth contours and sweeping lines of the S60's wedge-like sedan shape are expressive, and the organic details and flashy alloy wheels make it look like it's moving, even at a standstill. In a recent refresh, the S60 received a new hood and grille, with a larger Volvo "ironmark" logo on new horizontal chrome stripes, and retouched headlamps with LED running lights. There's slightly more brightwork, and integrated exhaust-pipe outlets in back. A pair of new variants add some panache to the 2016 lineup. The Inscription stretches the wheelbase by three inches; the roofline had to be reshaped to accommodate the extra length, and the result does justice to the original design. The new Cross Country, meanwhile, adds some ruggedness with blacked-out trim, 19-inch wheels, and black cladding for the fenders. With 7.9 inches of ground clearance, the Cross Country also has a crossover-like stance. The overall effect will impress buyers who want to stand out -- and up—from the crowd. True to the traditional Swedish ethos, the S60 features a driver-oriented cockpit that elegantly combines form with function. Volvo's trademark "floating" center console has storage space behind and underneath. Though interior design is almost stark in base models, it welcomes passengers with high-quality textured surfaces and contrasting materials. Higher-spec models feel a bit more luxurious, but never unduly lavish. The 2016 Volvo S60 appeals to a wide swath of buyers with no fewer than four engines and two drive types. The 2016 Volvo S60 has the performance to back up its looks, but handling and refinement in the top-spec R-Design may not meet the demands of some enthusiasts. 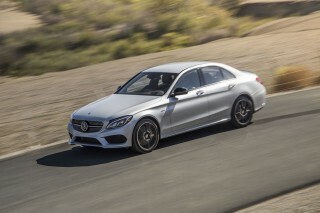 Of particular note are two variants of a 2.0-liter direct-injected Drive-E inline-4 used in front-wheel-drive S60s. A base version used in the T5 is turbocharged for 240 horsepower; the T6 adds a supercharger for 302 hp and improved low-end response. Volvo claims 0 to 60 mph acceleration of 6.0 seconds for the T5 and 5.6 seconds for the T6. Start-stop is standard on both engines, and we found it to be very quick on the restart and easy to get accustomed to in traffic. Both front-wheel drive S60 models benefit from relaxed cruising at highway speeds due to the wide gear spread of the new eight-speed automatic. All-wheel drive S60s rely on older engines. The T5 uses a 250-hp turbocharged 2.5-liter inline-5, and the T6 R-Design a 325-hp 3.0-liter turbocharged six. Both engines power the four wheels through a 6-speed automatic transmission and a Haldex all-wheel-drive system. The larger of the two engines feels stronger than its numbers might suggest, and while it's disappointing that there's no manual gearbox available the 6-speed automatic pairs with the AWD system for easy driving, fast acceleration, confident traction and great all-weather capability. These models can get to 60 mph in about 5.8 seconds. All-wheel-drive S60s are heavier than they may appear, but the lighter weight of the Drive-E engine makes the front-wheel drive versions nimble and very responsive. Regardless of powertrain, the S60 is agile enough for hairpin mountain curves and maneuverable enough for tight city streets—and its turning circle proves to be tighter than you may expect in a car this size. The Cross Country's extra ride height can be felt in corners, but body lean isn't excessive and it still handles much like the other S60s. The S60 does a fine job blending attributes of the sport sedan and the family car. If only the new engines—lighter, higher-performance, and more fuel-efficient—came with all-wheel drive. Front-seat passengers will rejoice at the comfortable front seats, but rear-seat space is only adequate in short-wheelbase models. The 2016 Volvo S60 may be classified as a mid-size sedan, but it's closer in size to compacts like the Acura TLX, BMW 3-Series and Mercedes-Benz C-Class. It uses its interior volume well, though. Its front seats are among the best we've experienced in any car. Thick bolstering might make them a tight fit for some, but we've driven for hundreds of miles without the slightest discomfort. It's the sort of seat we'd expect in highest-end sport sedans, and Volvo deserves plaudits for a job well done. The back seat looks tighter from outside than it proves to be once you get in. It's well contoured, although the raked rear window means it's closer to the floor than taller adults may like, leading to a slightly knees-up position compared to taller sedans. But it will hold two passengers over six feet tall. In the long-wheelbase Inscription, however, just three inches of extra legroom give rear-seat passengers class-leading space. 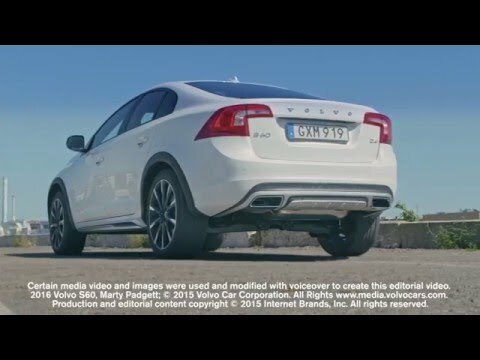 The 2016 Volvo S60 stays true to its reputation for safety with an array of systems and excellent crash-test scores. The 2016 Volvo S60 gets a top five-star rating in every federal category. You'll see similar results from the IIHS, which gave this year's S60 a Top Safety Pick+. Not only did the S60 get the IIHS's highest rating of "Good" on all tests, the list includes the new and challenging small-overlap front crash test, which the S60 also aced—unlike many new cars whose scores fell when the new test was performed. There's no doubt that the S60 is one of the safest cars you can buy. In addition to its unimpeachable crash-test scores, this Volvo gives buyers an extensive menu of electronic safety systems. Unfortunately, many of them remain optional rather than standard. Standard safety equipment includes everything you'd expect: front, side, and side-curtain airbags; anti-lock brakes; and stability and traction control. But every S60 also comes with Corner Traction Control, which enhances grip in aggressive driving with torque vectoring. Other safety add-ons include front and rear camera systems, parking sensors, and active HID headlamps. Blind-spot monitors are also available separately, as a stand-alone option. With multiple engines, a long-wheelbase, and a soft off-roader, the 2016 Volvo S60 has something for almost everyone. 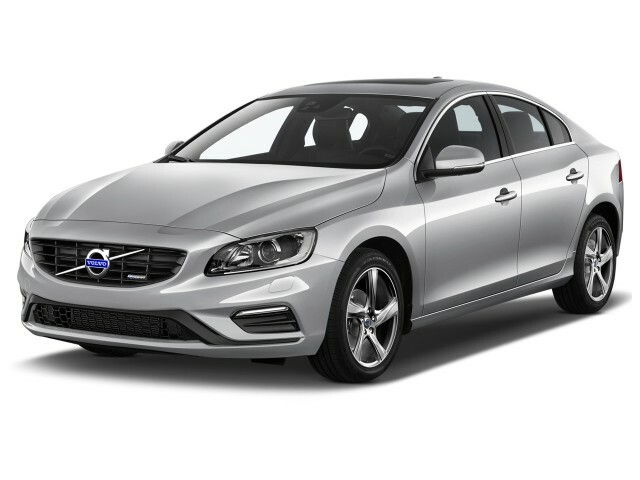 The safe and stylish 2016 Volvo S60 offers buyers a remarkable degree of variety for a mid-size sedan in the American market. 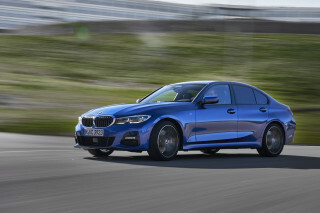 First, buyers can choose between engines—two four-cylinders, a five-cylinder, and a six-cylinder—and front- or all-wheel drive. They can have a short wheelbase or a long wheelbase. And they can even opt for a crossover-like variant with 7.9 inches of ground clearance. Standard features in the entry-level T5 include eight-way power front seats, a driver’s seat memory, eight-speaker sound system with CD player, USB connectivity, HD radio, dual-zone automatic climate control, and heated power mirrors. A fuel-saving ECO+ system includes modified Start/Stop technology, ECO-coast, and ECO-climate. Stepping up to the Premier adds a moonroof, navigation, and leather upholstery. The Inscription replaces last year's Platinum level. Option groups include a Sport Package (T5 Drive-E) with paddle shifters, a sport chassis, and 19-inch wheels. The Technology Package (standard on Platinum) comes with adaptive cruise control, collision warning with full auto brake and pedestrian/cyclist detection, adaptive cruise control, driver alert, road sign recognition, lane-departure warning and active lane control, and road sign information. A Convenience Package (standard on Platinum) features keyless ignition, rear park assist camera, HomeLink and power retractable mirrors. The Climate Package has heated front/rear seats and steering wheel, heated windshield washer nozzles, and Interior Air Quality System. Base and Platinum trim levels are offered for the R-Design. Standard equipment includes power retractable mirrors, off-black leather upholstery, sport seats with deeper side bolsters, sport pedals, and R-Design wheels. Unique equipment on the Cross Country includes a raised ground clearance, blacked-out trim, black fender extensions, and 19-inch wheels. S60 prices start in the mid-$30,000s, and a well-optioned Inscription or Cross Country can easily approach the $50,000 mark. You'll get better fuel economy with the four-cylinder models—the older five- and six-cylinder engines aren't nearly as efficient. The 2016 Volvo S60 comes with four engines—two newer and two older. The newer inline-4s come with a start-stop system that we found to be very quick on the restart and easy to get accustomed to in traffic. Drivers can chose from three modes: Drive, Sport, and Eco+, which retune the power delivery and transmission shift points to provide quick response (Sport) or more fuel-efficient running (Eco+). The only problem with these engines is that they come only with front-wheel drive. Buyers who want all-wheel drive are relegated to older, less efficient five- and six-cylinder engines. Don't expect that to change for a couple of years, when a redesigned S60 will be able to accommodate the new engines with Volvo's Haldex all-wheel-drive system. The turbocharged 2.0-liter engine in the front-wheel drive T5 is rated at 26 mpg city, 38 highway, 30 combined. The T6 adds a supercharger to the 2.0-liter powerplant and returns 23/33/27 mpg. Thanks to a wide gear spread on the 8-speed automatic transmission, the front-wheel drive S60s benefit from relaxed cruising at highway speeds. Economy isn't as good for the all-wheel-drive S60s. 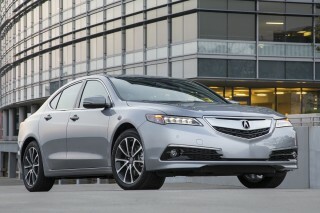 Expect 20/29/13 mpg with the five-cylinder engine and 18/27/21 mpg with the six, 22/31/25 mpg for the twin-charged inline-4. So give Volvo half-credit for improving part of the range—but if you want highly efficient all-wheel-drive S60 models, you'll have to wait a bit longer. Love this new S60 Cross Country!